Awaking after a wet and hectic midnight dash across the French/Spanish border isn’t easy, especially in this tiny sweatbox of a caravan bedroom (the height of luxury, we know), but the smell of fresh coffee and a pastry is enough to get limbs moving. Unfortunately, some bad news joins the cup of strong coffee and it’s in the form of a smashed VW Transporter wing mirror. Some chumps had decided to carry out a hit and run while it was parked up for last night’s Artride, meaning Lewis H-P, Luke Gartside and Mirek would spend the morning walking around an E Leclerc looking for the strongest electrical tape they could find. A shame, because the early morning cloud was beginning to break and the day looked set to be a welcome change from the grey drizzle we had experienced so far. 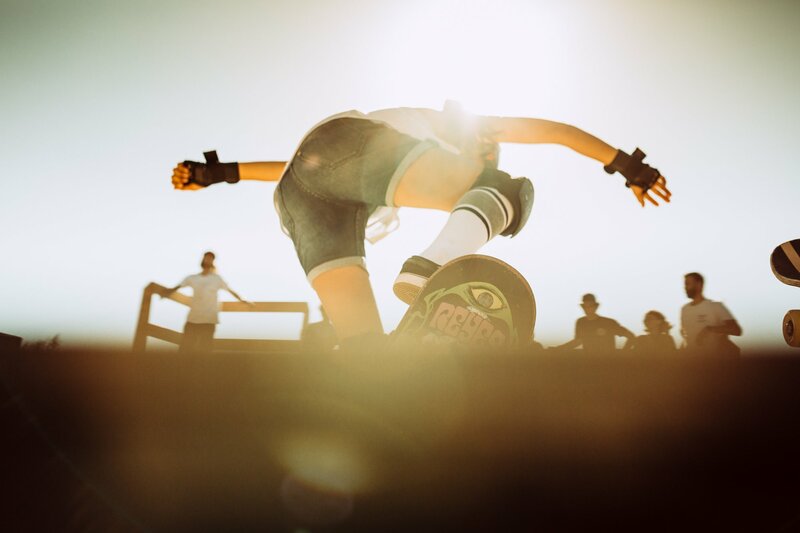 The sun would be a welcome sight to those competing in this year’s Punk’s Peak race, arguably the highlight of the entire festival for many and a 1/4-mile mountainside sprint like no other. 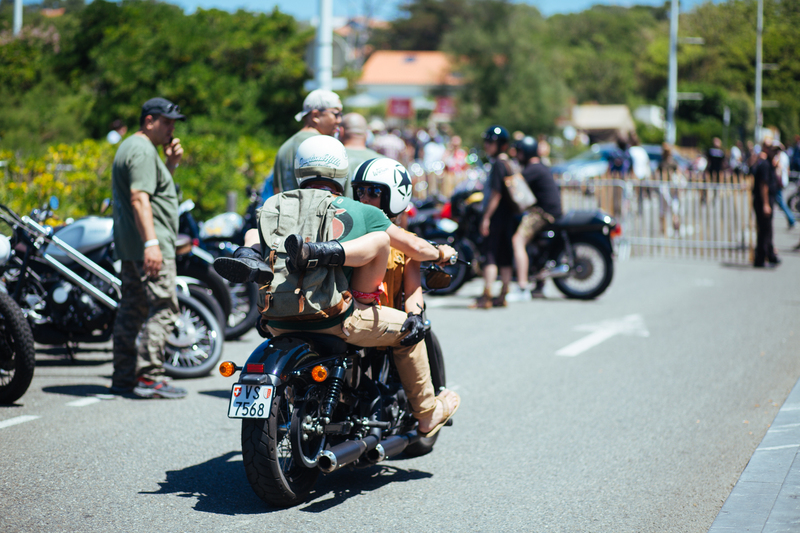 Founded in 2009 by a French motorcycle contingent dubbed The Southsiders, Wheels & Waves started life as a bunch of friends and family riding together and enjoying some food and live music. 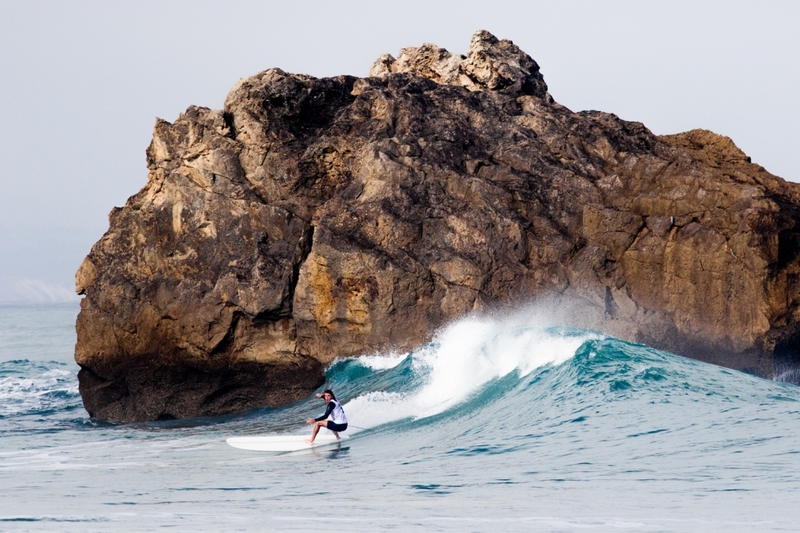 Advanced tickets are just €30 for a five-day pass to the main Cité de l’Océan site, El Rollo, the Punk’s Peak race and Artride exhibition, although it is possible to simply arrive in Biarritz on a suitable bike and enjoy the atmosphere. Before anyone can enjoy the high-octane sprint racing over at Punk’s Peak, there’s the niggling issue of actually getting there. 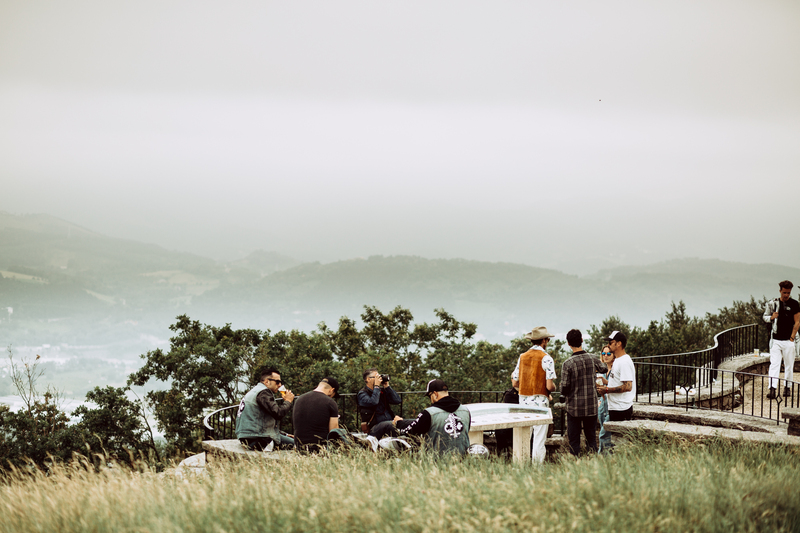 The thing is, the Punk’s Peak race takes place on a twisting stretch of mountain road that rises high above the Bay of Biscay somewhere outside the beautiful town of Hondarribia. Getting there would typically require a map and frequent stops to ask a local but not this week, because the second I swing a right out of our humble campsite I am greeted to the sight of hundreds of motorcycles, all heading in one direction. 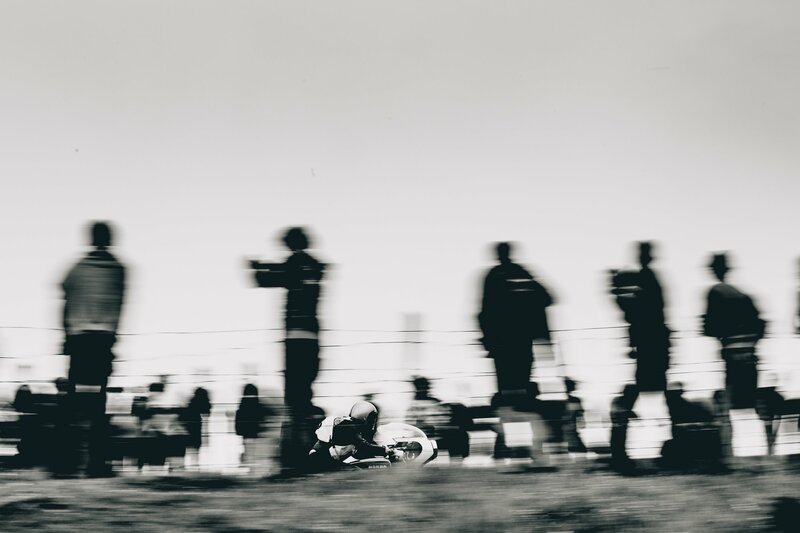 Riding to the race should be as simple as slotting in beside one of these two-wheeled comrades but it is never that easy. 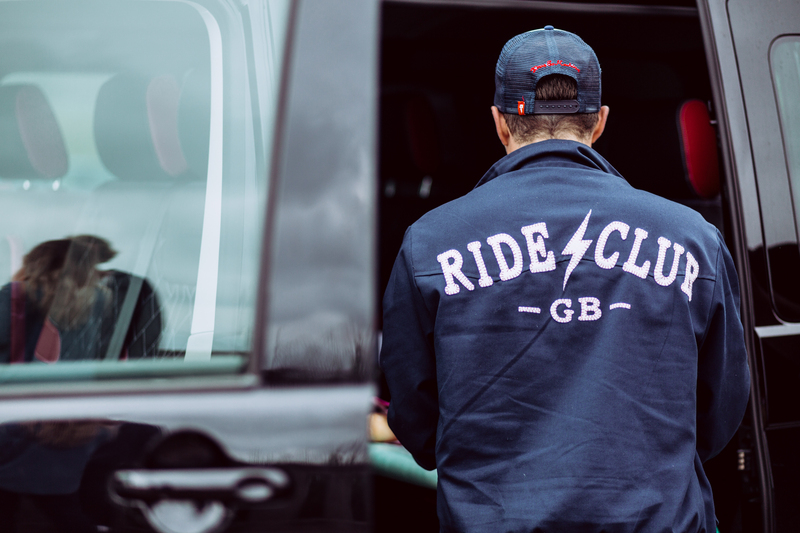 Riders peel off to petrol stations, others overtake with reckless abandon, and some folk take one route, while others come to a grinding halt at the first sign of a coffee shop. It’s not long before I am hopelessly lost once again (it becomes a theme of the trip) after following a fat couple on a Harley-Davidson. Luckily, I spy a Ducati Diavel and a Triumph Bonneville parked at the side of the road sporting British plates. My fellow countrymen were also lost and once again, I was part of a shambolic crew fumbling around for a destination. But this time, the sun is intermittently bursting through the clouds, and it’s not long before we join a throng of riders heading to the mountain. The sound is deafening, with the staccato rhythm of old bike engines and the howl of custom exhaust pipes reverberating off shop walls as we pass through sleepy village after sleepy village. Finally, we reach the part of the GI-3440 that gets interesting, with the road snaking along the hillside towards our mountaintop destination. 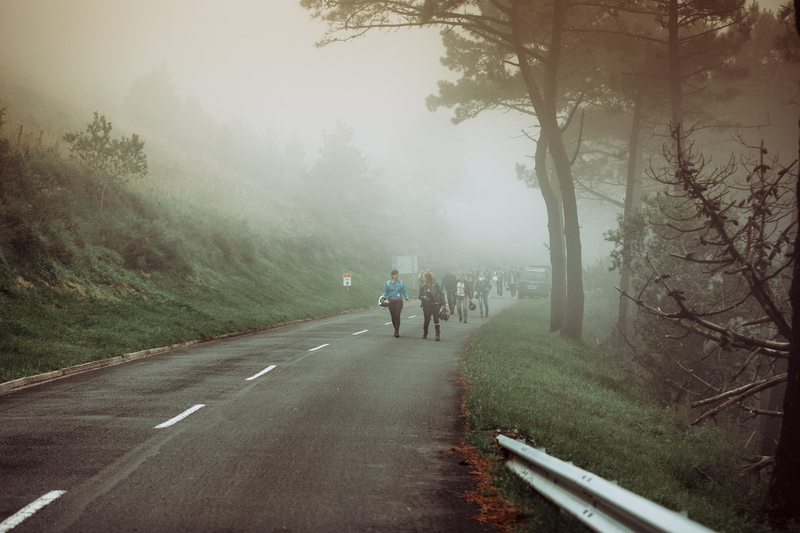 It is packed with tight turns and as we rise, the mist thickens, casting an eerie atmosphere over the route ahead. 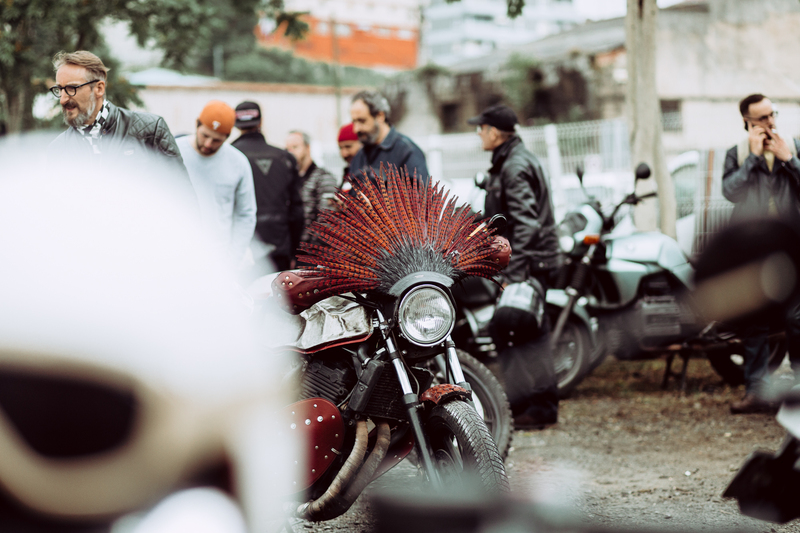 Everything connected with this year’s Wheels & Waves event feels a little more organised, more serious in nature, and the same goes for the main event. 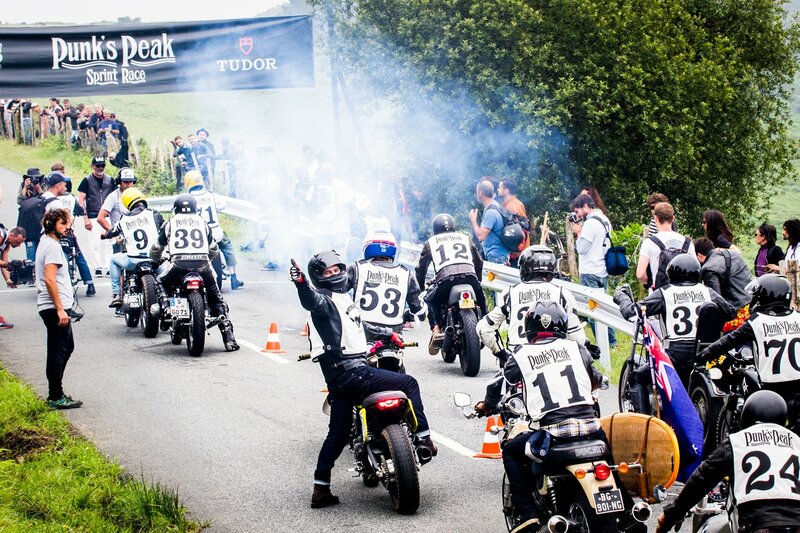 This year, riders are required to park their bikes further down the GI-3440 and hike up to the Punk’s Peak start line towards Jaizkebel, whereas previous iterations would have seen motorcycles line the race route itself, with any notion of health and safety evaporating with the morning mist. That’s no bad thing because the entrants for this race seem to have raised the bar considerably, with big names from the Essenza Sprint series showing up to flex muscles. 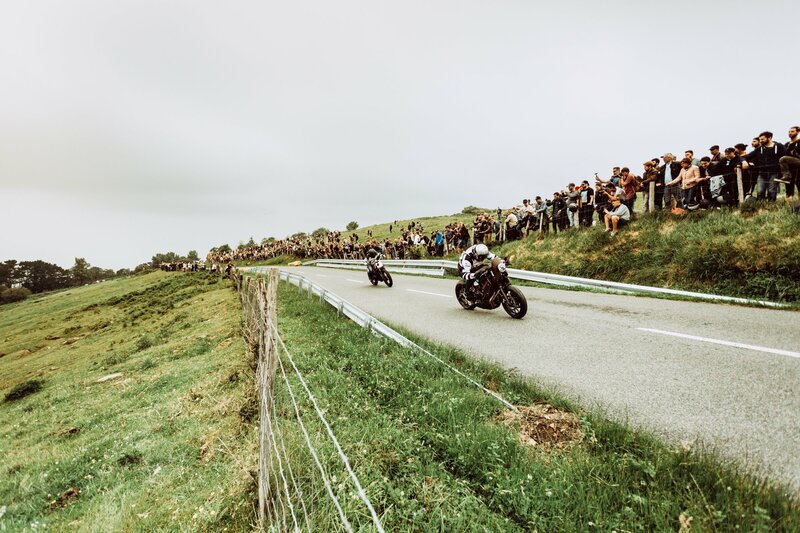 BMW Motorrad, Indian Motorcycles, Yamaha and Honda are all present but it hasn’t taken anything away from the spirit of the event, which is having a giggle at ridiculous people in fancy dress riding even more absurd machines up a hill. 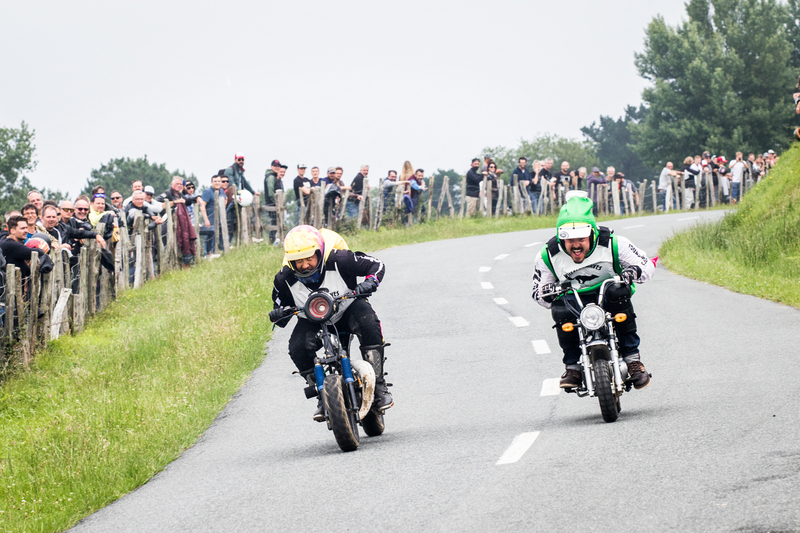 And as if to prove this point, the organisers kick off proceedings with the 50cc scooter class – a race dedicated to the bizarre, sublime and ridiculous. 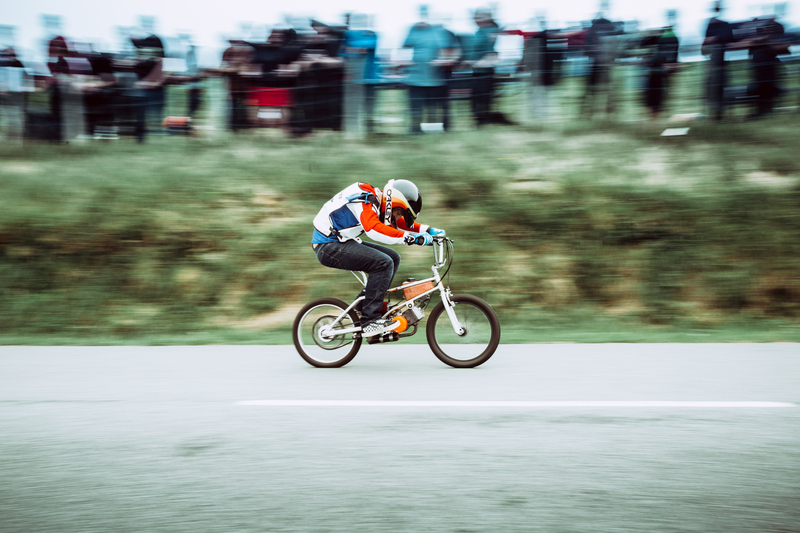 A man in a dinosaur outfit flashes past on a monkey bike, a man dressed as Evil Knievel thrashes a specially crafted drag scooter and a man on a BMX reveals that the little stunt machine that he is frantically pedalling actually sports an engine… but it doesn’t work. 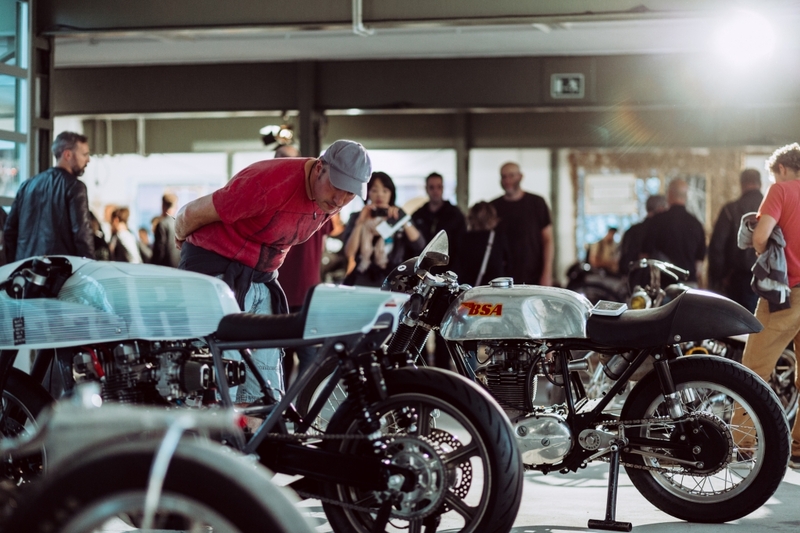 Things get gradually more serious as the day progresses and we are treated to some beautiful pre-1950s vintage machinery, racers from the 1970s and macho superbikes to conclude. Races are run in pairs, with the winners of each pair going on to face-off, until the competition is whittled down to two. 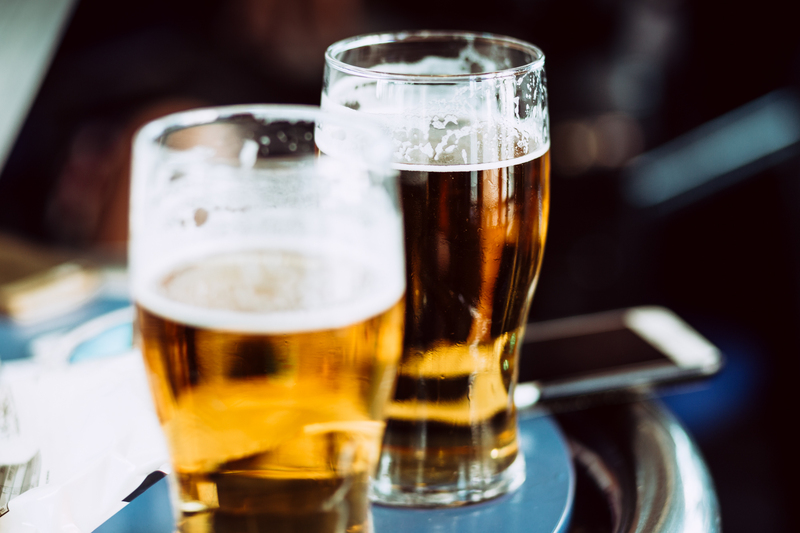 The day feels long but never tiresome, with the friendly crowd mingling on the grassy hillside, sharing bottles of local cider and cracking open typically French picnics of bread and cheese. 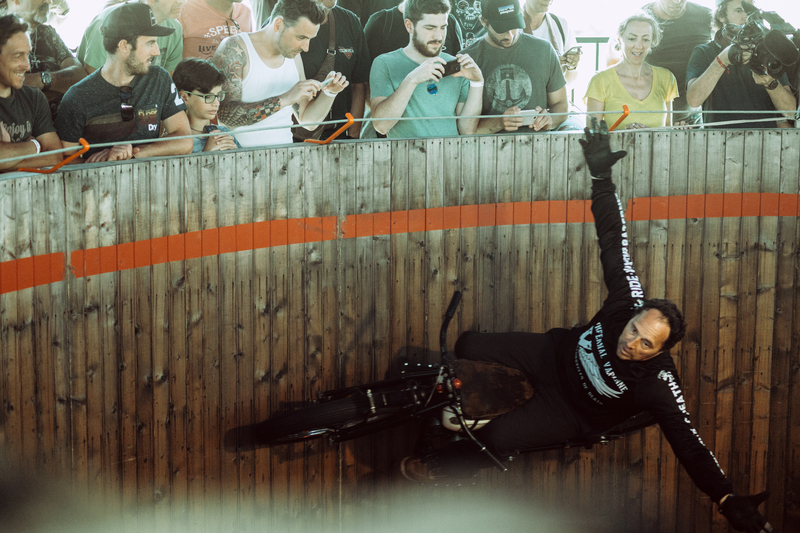 A nitrous-powered Indian Scout dubbed Miracle Mike wins the ultimate sprint competition and its makers, two mad Swiss dudes going by the name of The Young Guns, celebrate with beers and cheers. 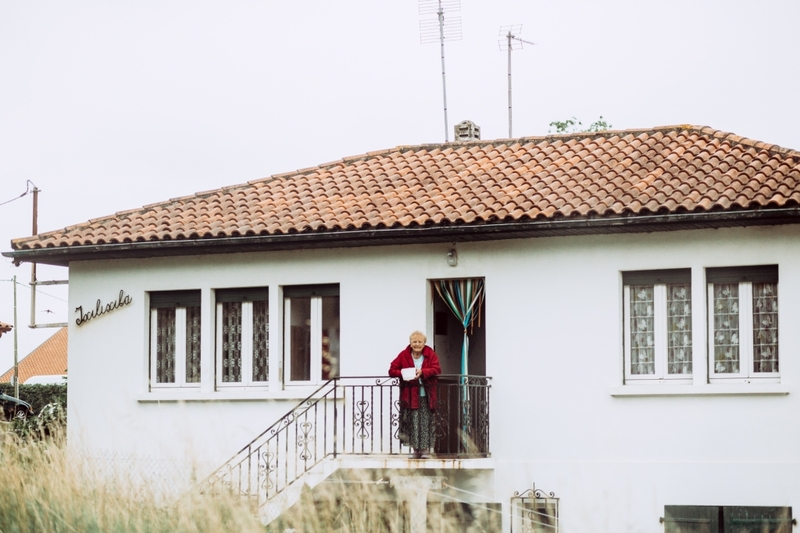 The crowd slowly hikes back to their motorcycles and heads down the mountain to nearby Hondarribia for further celebrations. 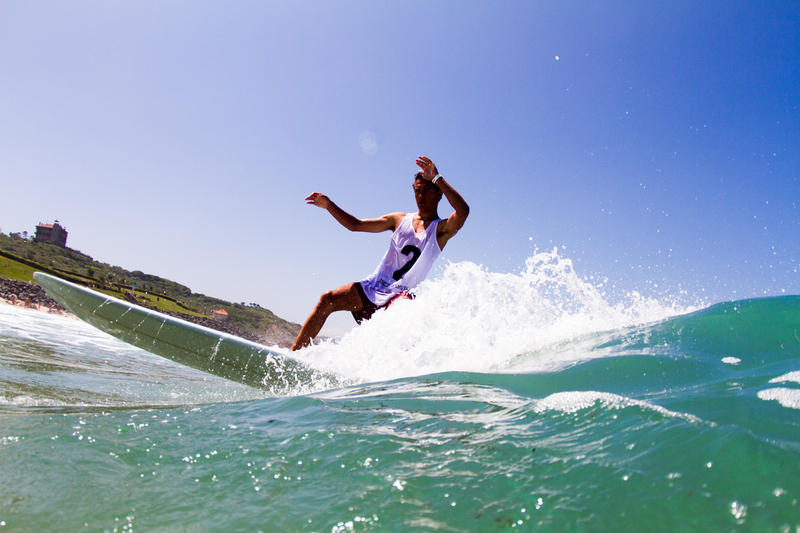 Saturday brings bright blue skies and blazing sunshine, as well as a hefty dose of swell that’s busy pummelling the beaches of Biarritz. 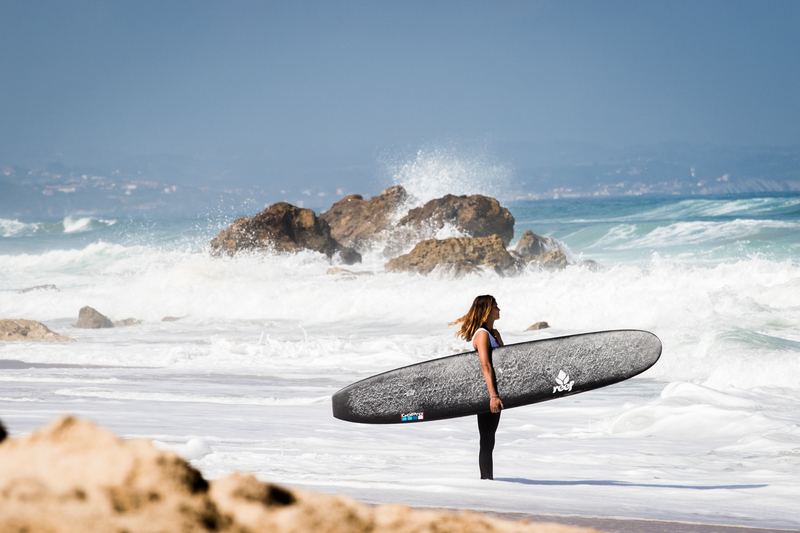 The surf competition is well and truly on, with competitors receiving a text in the morning instructing them to head to Plage de la Milady with boards waxed and game faces prepared. A large crowd gathers on the beach and despite a distinct lack of communication, the locals seem to have a sixth sense with regards to the festival’s proceedings. 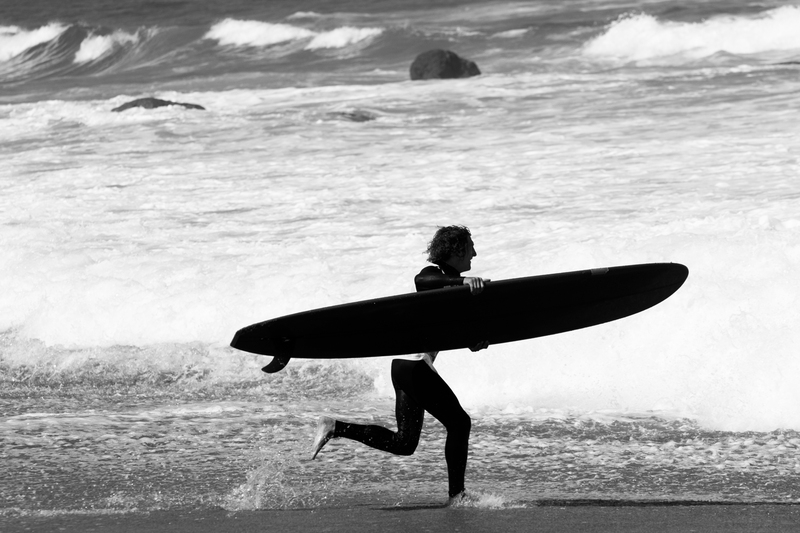 We had no idea the competition would take place, save for a tentative surf check in the morning by the two WaveLength boys. It turns out to be solid competition, with participants battling it out in a rough and rippy ocean aboard vintage logs and noseriders. 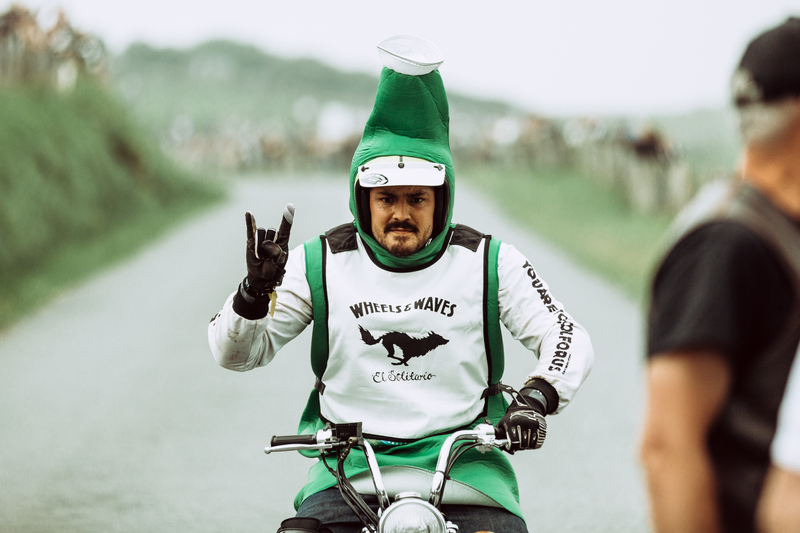 As with most things at Wheels & Waves, the surf competition is all about style, and participants turn it on by cross-stepping, hanging-five and employing drop-knee cutbacks to wow the judges. The sun beats down on the Cite de l’Ocean festival site, which is just across the road from Plage de la Milady, and the Saturday crowds pack the stands and stalls that were pretty much empty just a few days before. 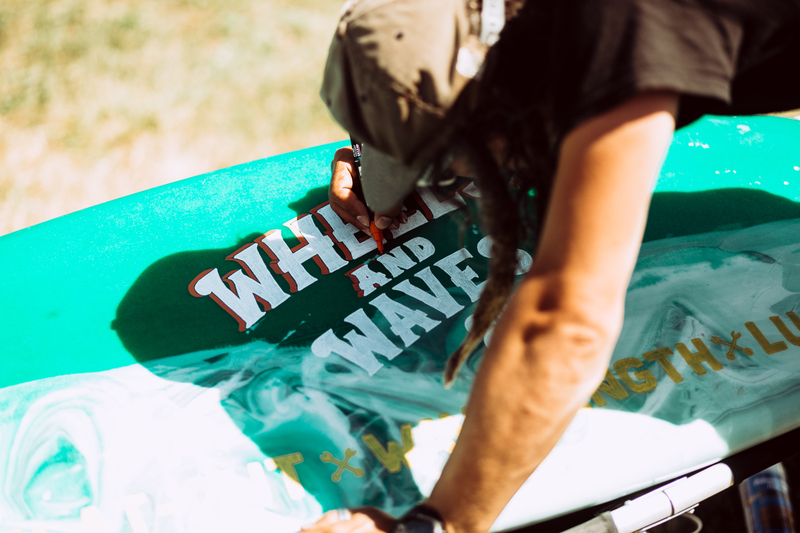 Mirek Lucan, friend of Flat-Out and the man behind LucanArt, is busy plying his trade on an old surfboard, attracting a crowd of sunburnt folk adrmiring his work. 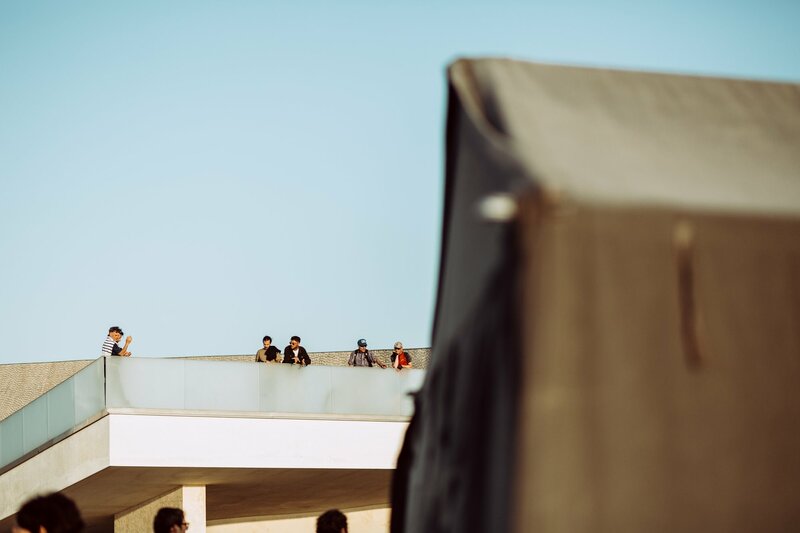 The sun begins to drop and the blazing heat subsides, bands take to the stage and queue for the drinks tent starts to thicken. Here, with the sun setting over the beach and row after row of custom motorcycles, the scene couldn’t get more picturesque. The trusty CX500 started to cough and splutter on me after the particularly punishing route to Punk’s Peak, so it felt right to be loading her back on to the back of the VW Transporter at an Ungodly hour on Sunday morning. Another game of packing Jenga and it is time to hit the open road once more, the sat nav system set for Cherbourg. 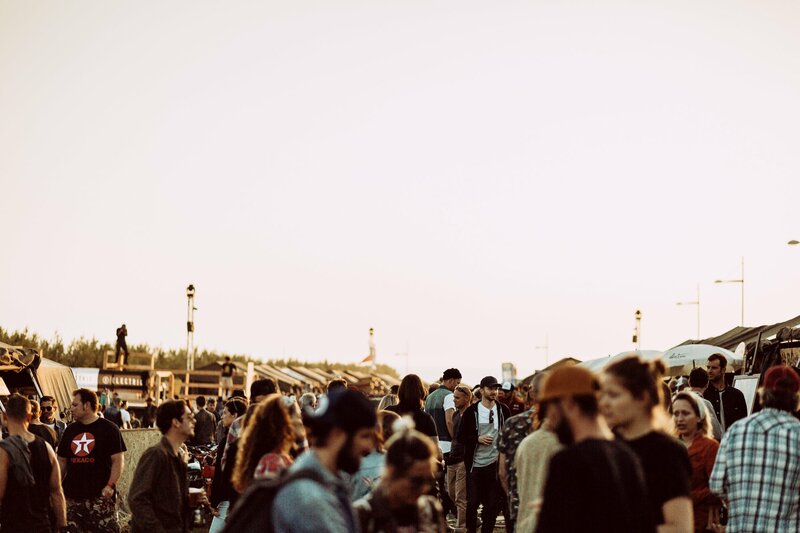 The traffic is near non-existent at this time in the morning but there is the occasional thrum of a custom machine in the distance, as travelling festivalgoers embark on their own journeys. 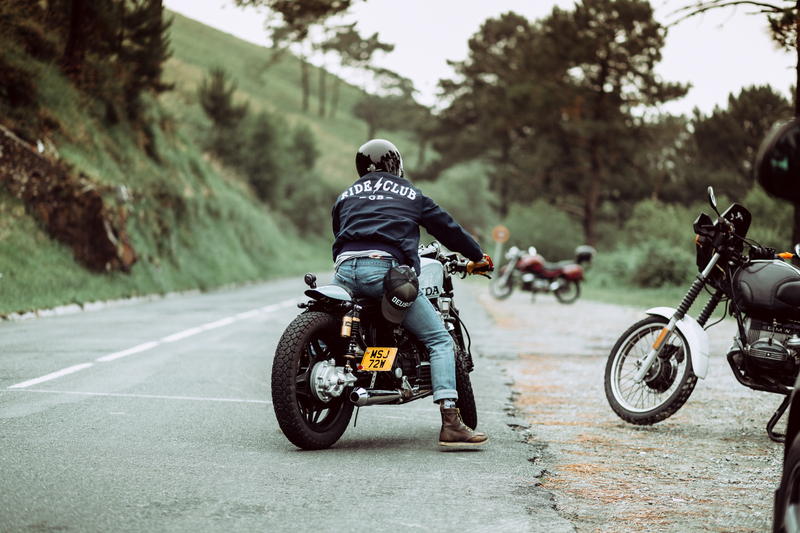 Wheels & Waves gets bigger and more popular with every year but it still manages to retain a certain magic that’s difficult to find elsewhere. And if Volkswagen forgive us for the battered wing mirror, we’ll most definitely be returning next year. 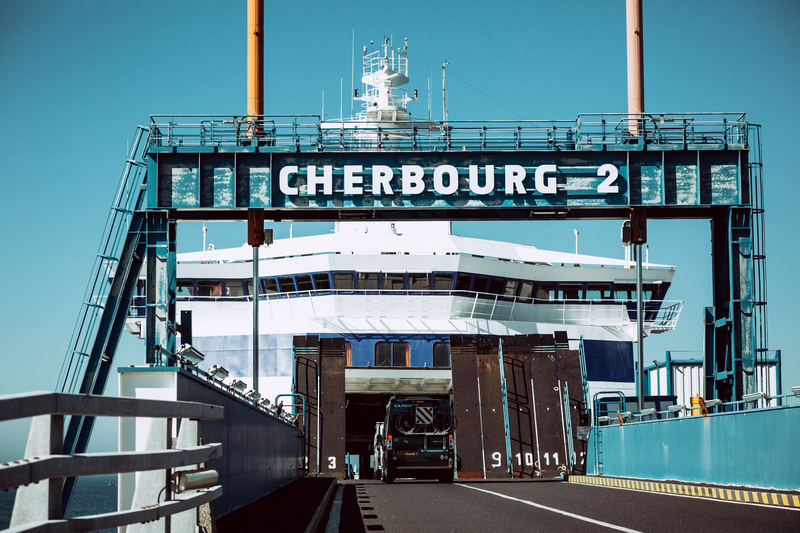 Brittany Ferries run an extensive fleet of ships from the UK’s south coast to northern France and Spain. 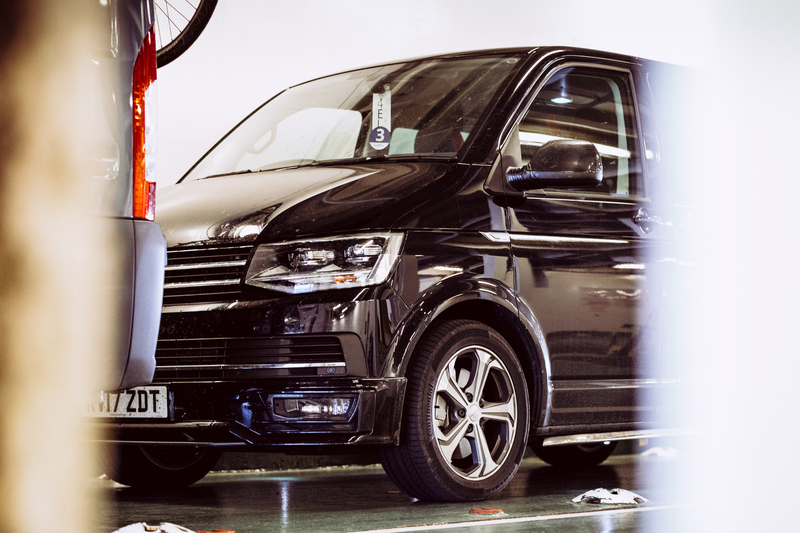 Prices for the latter in late June can err on the expensive side, especially if you are transporting bikes in the back of a large van. However, we found the Pool to Cherbourg route on of the quickest and cheapest ways of getting to southern France.